In a mere 24 months, Mickey Mouse will enter the public domain—right? Mickey Mouse is synonymous with copyright term extension, and with good reason. Every time the first Mickey cartoons creep towards the public domain, Disney's powerful lobbyists spring into action, lobbying Congress for a retrospective term-extension on copyright, which means that works that have already been created are awarded longer copyright terms. In the USA, copyright law is supposed to serve an incentive to make new works, and there's no sensible way that getting a longer copyright on something you've already made can provide an incentive to do anything except lobby for more copyright, and sue people who want to make something new out of your creation. Nevertheless, in 1976 and 1998, the US Congress gave Disney—and everyone else, including the overwhelming majority of absentee proprietors who didn't know or care about any of this—decades of extra copyright on works that already existed. This state of affairs has been lamented at enormous length by people smarter than me, so let's just say that economists, cultural theorists, and copyright scholars are virtually unanimous in viewing retrospective copyright term extension as both absurd and tragic. In 2023, the copyright on those early Mickey cartoons will end (if Congress doesn't repeat the sins of '76 and '98, that is—and you can bet we'll be pulling out all the stops to prevent that). What happens then? Almost nothing, if Disney and friends get their way. Those Mickey cartoons are almost certainly in the public domain anyway. In the late 1920s, copyright wasn't automatic: rightsholders had to undertake certain "formalities"—registering with the Copyright Office and displaying correctly formatted notices—and then renew those formalities periodically. Scholars who've looked into the matter make a very good case that the early Disney organization flubbed its registration, notice and renewal, and there are probably cartoons that are in the public domain today. Which is not to say that Disney wouldn't sue you if you tried to remix them, upload them to the Internet Archive, or sell them in on a compilation DVD of other public domain cartoons from the period. They almost certainly would, and it would cost you an unthinkable sum of money to defend yourself. Emerging victorious but impoverished, you would have won a small victory. cartoons from you may think they're buying from Disney. Back to court with you! Disney would be wrong, according to current law. The Supreme Court ruled in 2003’s Dastar v. Twentieth Century Fox Film Corp. that you can’t use trademark law to extend an expired copyright. But we suspect that with the copyrights on many iconic films and characters poised to expire, Disney and friends will try to get Dastar overruled or at least undermined. If you want to make a new Mickey Mouse thing, you might be better off arguing fair use than public domain, anyway. 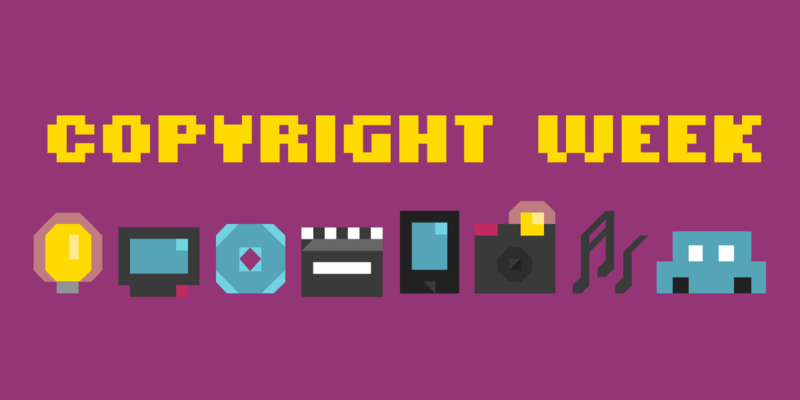 Fair use covers transformational use for commentary, parody, education and many other uses. If you're trying to make new Mickey stuff with the "public domain" Mickey from the 1928 cartoons, you'll have to be careful not to encroach upon the visual elements of Mickey that Walt Disney, Ub Iwerks and the other artists who worked on the shorts developed over time in other cartoons that are still under copyright. Fair use has no such constraint. So why is Disney fighting so hard to keep these—minor, probably public domain—cartoons still in copyright(ish)? Because of what happens after "Steamboat Willie" enters the public domain. Have a gander at the Disney filmography. If "Steamboat Willie" unambiguously enters the public domain in 2023 , then in 2027, Snow White and the Seven Dwarves joins it there. Things putter along for another decade (Pinocchio and Fantasia, 2030; Dumbo, 2031; Bambi, 2032; The Adventures of Ichabod and Mr. Toad, 2039) but in 2040, we get to Cinderella and after that, it's pretty much a major feature film every year: Alice in Wonderland in 2041, then Peter Pan, Lady and the Tramp, Sleeping Beauty... Every year, a new major movie that anyone can sell, remix, or build a ride around—assuming they can navigate the trademark issues. The ambiguity of overlapping trademarks and copyrights, combined with the very long duration of copyrights, and confused legal history about whether characters themselves get copyright when parts of their canon enter the public domain is a source of great mischief for many of the characters of the last century. Sherlock Holmes is in the public domain (so long as you steer clear of details introduced in some of the films, and elements of the character developed in the handful of stories published after 1923), but litigious organizations threaten people who treat Robert E Howard's Conan as if he were in the public domain, and the same goes for Buck Rogers and the HP Lovecraft canon. "Free Mickey" is a great slogan to shorthand what's going on with term extension, but the reality is a lot messier. Disney's lobbying for term extension isn't a stiff-necked insistence that everything that Saint Walt laid his hand upon must be forever his company's stewardship: it's a long-term bid to retain control over assets they make a lot of money off of. The side effects of their self-interested pursuits are arguably a lot worse than what we lose by keeping a handful of unregarded cartoon shorts in copyright: the overwhelming mountains of orphan works for which no owner can be found, meaning all copies of them will likely disappear before their copyright lapses; and the welcoming territory for naked copyright trolling by those who would simply extract rents from the creations of the long dead.